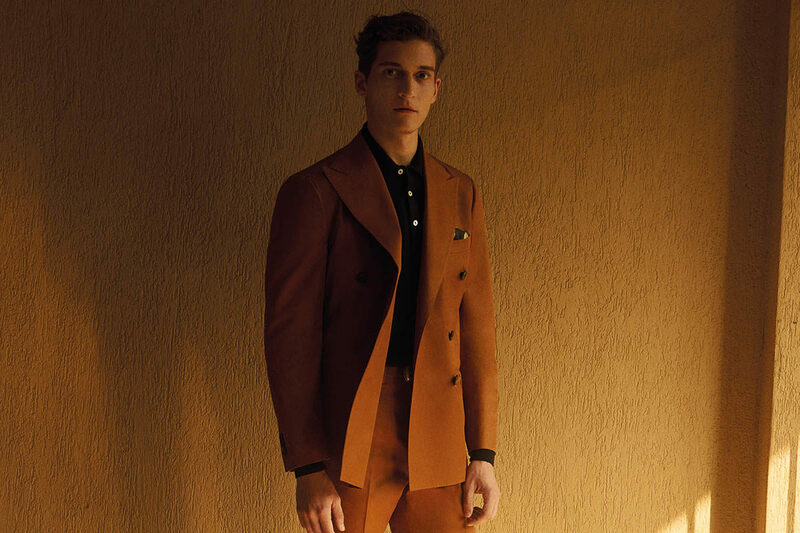 Doppiaa, the Italian-based menswear label brought to life by long-time friends Alain Fracassi and Albert Carreras, is defining a new wave of tailoring. Since its establishment in 2015, the house has become renowned for its reinterpretation of classic Italian style and its refreshingly modern and playful take on smart casual dressing. Fracassi and Carreras refuse to compromise on quality and maintain a dedication to 100% Italian manufacturing and the relentless pursuit of innovative materials. With Fracassi's family history (his father founded a Brescia-based tailoring retail business in 1969) and Carreras' business acumen, the duo bring a youthful energy to the clothes, a distinct experimentalism that facilitates embracing individuality and uniqueness. Yet at the same time, these are versatile garments with an easy-to-wear quality that beg to be integrated into one’s everyday wardrobe. Never has this been more evident than with the label’s most recent Spring Summer ‘19 collection, titled ‘Daydream’. Available now to shop on The Rake, the collection is inspired by the concept of dreaming with one’s eyes open: it endeavours to substantiate visions from an immaterial world of ideas and intuitions to clothing with a unique character, conceived and constructed for the contemporary gentleman - a man of many tastes and talents. The designs are defined by an understated eccentricity and a relaxed Mediterannean aesthetic. There’s a distinctly summery mood, but it’s not at the expense of personality and structure: silhouettes are elegant and refined and the fabrics used throughout are simultaneously lightweight yet durable, enabling long wear, ultimate comfort and weather resistance - essential for those surprise summer rains and winds in not-so-Mediterranean climes. Cotton is king and denim features in a variety of interpretations, from shirting and trousers to jackets, a notable example being the rust-brown denim jacket, a unique and utterly versatile piece. Linen safari jackets, hand-printed and hand-embroidered Indian cloth shirts and breathable ‘50s-inspired polo shirts all make for easy-to-wear garments that can be dressed up or down - paired with sharp tailoring during the working week or sneakers and jeans for a more casual look as the weekend rolls around. The collection features a predominantly muted colour palette - think rich greens, navy and brown - punctuated by floral patterns, stripes and tartan checks. There’s no restriction to interpretation and experimentation is highly encouraged. Embrace your individuality and be as bold or as understated as you like. This is joyful dressing at its finest.